I was digging into my blog archive to see if I've written anything on the 1st of Jan 2017 and nope, nothing. This post is inspired by the numerous what-have-I-achieved-last-year posts and videos I've seen put up by others. I write this not to compare, but to keep track of the things that I've done. That's the reason why I create all my travelogue posts. It's so that I can look back and remember what happened because, well, memories can fade, and there's no better way than to remember them than to record them in some way. There were many occasions when I wanted to refer to something that I've done or a place I've visited but can't because there was no record. 2017 is the year where I really value time. It's one thing to hear people talk about time as a resource, but it's a totally different thing to embrace that concept. There was so much to do in 2017 that I wish that I could just squeeze out more time to do them. In 2017, I bought two electronic skateboards just so that I can save time from not walking. Whenever I people see my skateboard, the first thing they usually say is something to the effect of me being lazy. Those two electric skateboards are the best investment of the year. I save about 2/3 of the time that I usually spend walking. So a 15 minute walk to the train station now takes 5 minutes. A 10 minute walk to the hawker centre takes 3 minutes. I use one skateboard all the time, and the other's a backup that I put in the office. On a rainy day, I don't bring the skateboard out because it's dangerous. But if the area around my office is dry, I have another skateboard to use, to save time. I also bought a Macbook Pro so that I could edit more videos. The desktop limits me to editing videos only at home. With the laptop, I can edit videos on the train, which I do if I'm really short of time. Since I don't do anything productive on the train, why not use it to edit videos? Usually, I spend the time on the train answering comments on my Youtube channel. I actually did not plan to write this post. I had planned to wake up at 8am on the first day of the year to go out and make a New Year update video, and to finish recording the last tutorial for my online course. But since it rained since last night, and it's still raining right now as I write, I'm stuck at home. I've become a bit obsessed with making videos on Youtube. I made 316 videos in 2017. That's like 25 videos each month. That's in addition to all the book reviews I've put out in the year – I've lost count on that. There's no way I will be able to top that in 2018. In short, it has been an incredibly productive year. I can write a lot about Youtube, which I have done, so I don't want to repeat it here. I've told all my friends and colleagues about the potential of Youtube. Nobody cares because, well, different people have different priorities. That's alright. That's human. Do I consider myself a Youtuber? The official answer is no. I'm not a Youtuber. I just happen to make a lot of videos. I'm not a blogger also. I'm just happen to write on a blog that I have online. And I'm absolutely not an influencer – that's such a stupid word. If you don't get it. Well, I hate labels. I write this not to compare but to record. Who knows one year later, I may think differently. At least I will be able to remember how I have changed. I hope the rain stops. I really want to go out and make some videos before I go to the office, on the first day of the year. Read more about Happy New Year Everyone! I feel like I should write something about the delay of reviews for new artbooks. Before I talk about that, let me explain how I actually get artbooks and art products to feature on my blog. In the early days of the blog, the first few reviews were actually of books that I collect, such as the Pixar artbooks. Some readers responded positively at how helpful those reviews were and so I began to feature more artbooks. As I'm not that rich, I would borrow artbooks from the library, colleagues and friends to feature on my blog. I was once caught taking photos (no cameras allowed) of books in the library and got chased out. For books that I can't borrow, I would have to buy them. I was lucky I joined the Amazon Associates program early on. Amazon Associates is an affiliate program that earns you money whenever people buy stuff through the links posted on websites. You do not get money from people just clicking on the links. When I joined Amazon Associates, the commission rate for selling books was 4 to 8.5% depending on how many books you sell. Today, that commission rate has been reduced to a fixed 4.5%. That means for a USD $20 artbook, I would earn $0.90. To break even for a book I buy specifically for review, I have to sell 23 copies of that book. All the money that I earned from Amazon Associates is used to buy more artbooks to feature. My goal is to feature every artbook possible, at least those that are related to anime, movies, comics and games. That's basically how I grew Parkablogs to where it is today, by adding reviews one by one. Most of my books are bought on Amazon. As I earned more from Amazon, I also spent more on buying books, sometimes up to hundreds of dollars each month. In the early days, I would opt for priority shipping so that I can feature the artbooks early. It takes around 5 days to ship a book from USA to Singapore. However, priority shipping is expensive. Priority shipping cost USD $30 and each book is an extra USD $6. Because of how much markup local bookstores is charging for their books, and also the favorable exchange rate, it's still cheaper sometimes to buy books from Amazon with shipping charges included. For books that do not need to be featured quickly, I opt for the cheaper shipping option to save money. Ever since Amazon introduced free shipping to Singapore for purchases above USD $125, that's the option that I've always choose. I use the money saved to get more books to feature. Over the years, I've managed to get some sponsors, namely Basheer Graphics Books, APD Singapore and Pansing. As I spend a lot of money to buy artbooks to feature, having sponsors meant that I was able to save a lot of money and keep expenses low. When it comes to how early I can get newly released books to feature, it's actually faster to just buy them from Amazon and have them delivered through priority shipping. But to save money, my preference is to borrow the books from sponsors to feature. But sponsors don't always stock the new titles that fast. Hence I have to wait for the books to be stocked before I can get them. That's why there is that delay for reviews of new artbooks, especially those related to movies and video games. And because I'm no longer paying for priority shipping and I'm relying on sponsors more. So far the arrangement has worked out better for me because of how much money it saves me. It's crazy to spend hundreds of dollars on artbooks each month because to earn back that money you would have to refer and sell thousands of books through Amazon Associates. Some artbooks are just not that popular so it's almost impossible to sell, or maybe you can but it will take years to break even. Basheer Graphic Books is a bookstore. APD and Pansing are book distributors. As for publishers who send me books, there are only Udon Entertainment and 3DTotal. I love those two publishers because they don't have instructions on what I should do, don't have deadlines or special requests. I've sponsors who mail me stuff only to pester me later to find out when I will eventually publish the review for their books or products. Some people have the impression that my reviews are biased because I receive free stuff to review. The mission statement of the blog is to make sure you know exactly what you're buying. I only care about my review being balanced and covering all essential points that need to be mentioned. If a book or product is lousy, you'll be sure to know it. Because if you buy a lousy product based on my recommendation, you're going to have a negative impression of me. I'm an artist and I'm also someone who collects artbooks. I don't want people to waste money on lousy products. I've posted negative reviews for products on Amazon and have those reviews highly rated by customers. By the way, negative reviews can help publishers and manufacturers improve their products. The mission statement of my blog is why I do not post news of upcoming artbooks. I do not want people to pre-order books that I feature on my blog without me looking through them first. I do maintain a list of upcoming artbooks though. The sponsors and publishers are the ones who approach me. I find the communication with companies to be tiresome so I don't seek out sponsors actively. I don't like the to and fro. That's also the reason why I don't do freelance work. How about those tech products? How I get tech products to review is quite similar to how I get artbooks. Because tech products are more expensive, I would see if I can borrow, either from the manufacturer or a friend. If I can't borrow, then I have to decide whether to buy it for review. Some examples of free tech products that I've received are Huion tablets and Adonit styluses (some bought with my own money). Things I have to return are Dell monitors and laptops, the pen displays from Artisul. Things that I've borrowed from my friends include the Lenovo Yoga Book, Wacom Mobile Studio Pro. For every tech product that I buy for review, I make a loss. Let me use the example of the Samsung Galaxy Tab S3 that was bought recently for review purposes. I bought that at SGD 760. 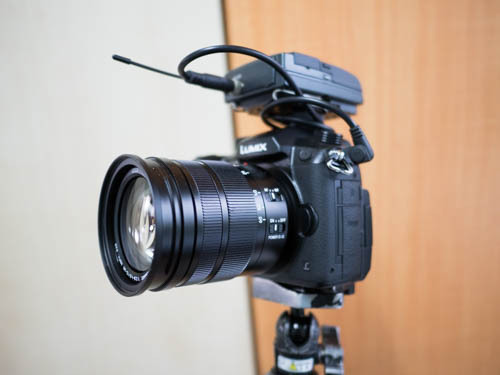 When I wanted to sell it, I received a quote of SGD 680. That's a SGD 80 (~USD 57) loss instantly. To break even, my only hope is I can recoup some of the losses through Amazon Associates earnings or through advertising earnings on Youtube. I would occasionally receive requests from readers or viewers to review specific tech products. For example, recently, I have requests to review the Samsung Galaxy Book 12, the New Surface Pro or the relatively unknown ASUS Transformer 3. Whenever I get such requests, I would email the companies who make them, but 99% of the time I won't hear anything back. My blog and Youtube channel aren't as popular as channels like Linus Tech Tips, Dave2D or MKBHD. Those companies don't need my help to promote their products. You can still send me your requests, I will still contact the companies to ask for review units, but don't hold your breath waiting for those reviews. To produce tech product reviews without sponsors mean I have to purchase the items, review, and sell at a loss afterwards. So the more such tech reviews I put out, the more losses I sustain. And the more pricey the product, the more depreciation, the more losses I will make. So far, the only high priced items I've bought for review purposes are the Acer Switch Alpha 12 (secondhand), Surface Pro 4 (secondhand), and the Samsung Tab S3. I want to feature some of those tech products because I know there are artists and designers who want to know those products perform or function. I personally want to know how those tech products perform from an artist perspective. When it doesn't make financial sense for me to buy and review, I would invite artists and pay them to write reviews on my blog. This again is in line with the mission statement of my blog which is to help you understand exactly what you're buying. Sometimes I do get free items to review, such as the Artisul pen displays (which I have to return) or Huion tablets. I don't get paid by those companies to feature them. I only earn when people actually click through the Amazon affiliate links and buy stuff. If the products are lousy -- ahem Arti-ahem-sul Pen-ahem-cil -- I would still feature them for the benefit of you but obviously I don't expect any Amazon sales from those. Hopefully, this gives you a little insight into how I actually get items to feature. If you want to support my effort, you can support me through Patreon. Your money will go towards those activities mentioned above. You're directly helping other artists, designers, people like you and me. Or whenever you buy stuff from Amazon, think of me and click through any of the Amazon affiliate links here before you buy. I get to earn some commission at no extra cost to you. Every little bit of support helps. 2016 was an intense year for me. Actually, every year is intense since I work too much. In case you don't know, on top of blogging and making videos almost everyday, I actually have a full-time job (at night). Thankfully, I really enjoy blogging and making videos so it doesn't feel like a job to me. It's just a hobby I spend too much time on. I'm proud to say that 2016 is another productive year. I added close to 200 book reviews to the blog, including a handful reviewed by my friends. I've also written 67 art product reviews. And with my recent fascination to create videos, I've made 318 videos this year. As a result of spending so much time growing the blog and my Youtube channel, I did not get to spend much time sketching, except at the occasional cafe sessions and the monthly sketchwalks. The only time when I was able to sketch to my heart's content was during the Urban Sketchers Symposium in Manchester that happened in July. It was a last minute decision to go. I'm glad I did go because it's was so fun to catch up with other sketchers from around the world. The main motivation for me wanting to travel to Manchester was so that I can make the daily symposium videos to share them with those who were not able to go for whatever reasons. These are the types of videos I wish someone else had made so that I can watch in the comfort of my home. I'm glad that the videos were well received. Making those videos was the most tiring thing I've done this year. I had to start my day early and film/sketch until evening time when I head back to the hotel to edit. I would often edit close to midnight. There were days when I was so tired, eyelids so heavy, that I had to render the video, set my alarm for an hour, sleep for an hour only to wake up later to upload the rendered video. I wasn't able to get the video to upload directly to Youtube from Adobe Premiere which was why I have to use this render-sleep-upload workflow. I did that for 2 weeks in UK. That was incredibly intense. When I came back to Singapore, I was so mentally exhausted I did not write my usual all-my-sketches-from-my-trip post. Unfortunately I don't think I will be going to next year's symposium in Chicago even though I know I'm going to enjoy it a lot. It's going to take me a total of more than 48 hours just to travel from Singapore and back. The thought of the flight time makes me dread. Thankfully, my wedding wasn't a large scale hotel wedding with hundreds of guests. There were only 8 tables at the restaurant. I invited only my relatives. It wasn't too difficult to plan because most of the arrangement were handled by Ban Heng restaurant. That really saved me a lot of time! 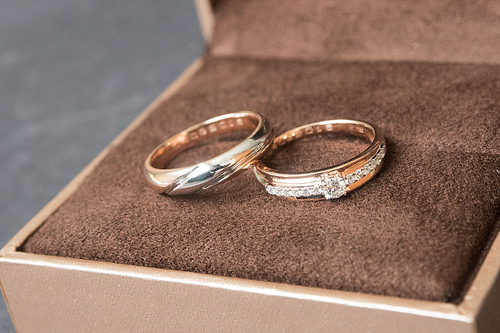 It was a simple wedding and I like it that way. I've been putting a lot of effort to make videos this year. And the reason for that is because I want to grow my Youtube channel into another source of income. I've written many posts on building a successful Youtube channel and I'm just following what I preach. The other reason is to see how far I can push myself to grow the channel. Last year, I talked about wanting to create video courses to sell. 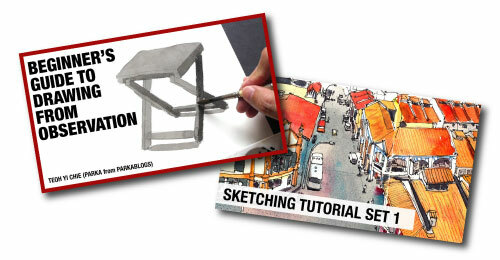 I did create a few online sketching courses. However, because I enjoy making Youtube videos so much, I did not spend as much time producing the new courses. It's weird. Even though the online courses are supposed to make money, I wasn't as motivated to create them compared to creating free Youtube videos for everyone. Going forward, I hope I can create another 300 videos in 2017, and get another 36500 subscribers. The growth potential on Youtube is amazing. Unfortunately, there's no such thing as an overnight success. The number of patrons supporting my Patreon page is growing very slowly. I would like to thank every patron of mine. Your monetary support is what helps fund this blog. 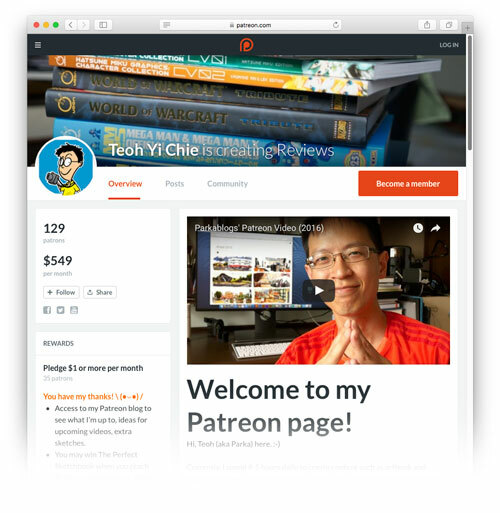 More specifically, the Patreon money pays for the pricey VPS web server that hosts the blog. It also pays for some of the art product reviews, such as the ones for Surface Pro 4, Macbook 12-inch and Acer Switch Alpha 12. Unlike other big name tech reviewers, I don't get many freebies to review. In order to review expensive items, sometimes I have to buy them to review. To save money, I always buy secondhand, so that when I sell them after the review, I don't incur a huge loss. When it does not sense for me to buy items for review purposes, such as the Wacom MobileStudio Pro or Microsoft Surface Studio, I have to invite and pay guest artists to review them. I do that because I want the reviews to be authentic, to come from someone who actually use and understand the product. The money also helped paid for my hotel stay in Manchester. It took a huge weight off my shoulders because I was saving for my wedding while I had to spend money in UK. And I lost SGD $300 because Brexit caused the UK pound to drop in value and I had bought the expensive £ before the drop. Argh! I also got some LED lights to allow me to make videos at anytime of the day or whatever weather. Before I bought the lights, I was only able to make video during bright sunny days. I can't make any videos when it's cloudy or raining. My room lights are not strong enough. With the new LED lights, I can now make videos regardless of outdoor lighting conditions. And I have to upgrade my monitor soon because it now takes more than 30 minutes for my Dell monitor to warm up before I can see the screen working. So that's how I spend the money from Patreon. I appreciate any amount that you pledge. Just think of it as sponsoring my bus/train trip to go out to draw and make videos. You're also helping me create more content to help other artists. My goal in 2017 is to stay productive, sketch more and make more content. 2015 was a busy year and 2016 is probably going to be busy as well. The end of the year is a good time to reflect on what has happened last year. I did not set any new year resolutions or any goals for 2015 for myself or the website. I just sort of drifted along. There are no targets to meet, no stress. Works well for me so far. Below's a list of things that happened in addition to the usual artbook and art product reviews I've been publishing. The most exciting thing that happened for me was the Urban Sketchers Symposium that was held in Singapore in July 2015. It was a fantastic experience to be able to meet many wonderful sketchers from other countries. Sketching outdoors is my favourite hobby and the energy I felt during those few days was exhilarating. I also made a series of posts and videos covering the event as a correspondent. 2016's symposium location is going to be in Manchester, UK. I'm not sure if I'm going. I'll apply as a correspondent as see what happens. In March, I set up a Patreon page for Parkablogs. That was able to provide some funds to the website and it was great. But from amount pledged by generous supporters, it's clear that it's going to take decades in order to make a full time salary. It's certainly not easy asking people to donate money! That's a reality check #1. After the positive feedback on the Youtube videos I put out during the Urban Sketchers Symposium, I decided to focus some time on creating videos on Youtube. The main motivation was to try something new. That has been going well. 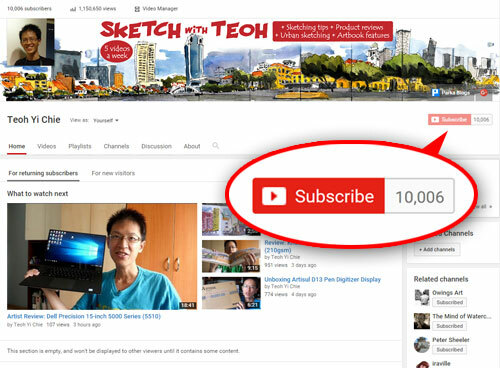 The sketching and art product videos are well received. The most interesting part is most of the audience on Youtube has not heard of Parkablogs before. So I'm getting a whole new group of audience with Youtube. I also learned a bunch of other interesting stuff too. The other motivation to get on Youtube is to explore whether it is possible to make money on the platform. It does make money. Look around online and you'll find that the industry standard that ads pay out is about USD $1-2 per 1,000 views. Most of my videos have only 500 to 1,000 views with only a handful of exceptions. To make a full time salary on Youtube is going to take a long time and I have to make a lot more videos going forward. Making money through Youtube ads is just not the right strategy. Reality check #2. While studying Youtube's potential, I found this website called Socialblade where you can find out how much any channel is making approximately (it's a wide estimated range). Anyway, I've been spending quite a lot of time on creating content for Youtube. Like a lot. Before I started creating for Youtube, I usually spend the day reviewing books, looking for new books. With Youtube, now I dedicate the morning to coming up with ideas on what videos to make. Book reviews are written in the afternoon, and by evening time I leave for work (I work at night for a newspaper). So I basically spent less time looking for new books and also surfing Amazon and Facebook. In a sense, time is now more productively spent. I made a few e-books from my travelogue sketchbooks as rewards for my Patreon supporters. They are also available for sale. The whole e-book idea was not as successful as I had expected. I think people still prefer a physical copy when it comes to an artbook. I know I prefer a physical copy as well. Going forward into 2016, I plan to make some sketching video courses. I looked at the Craftsy courses that I've featured so far and they are doing quite well on Craftsy. There are courses launched within a year that get more than 1,000 students. The best part about such courses is they don't incur much cost after they have been made and should continue to provide a source of income as long as you market them well and let people know they exist. As artists, you should always be creating art. That's what I intend to do, on top of putting out content on the blog. What were you goals for 2015? Were you able to achieve them? 3000 subscribers on my Youtube channel! Yeah! My personal Youtube channel has reached 3000 subscribers. Exciting! Check out the channel if you like ink and watercolour sketching. Read more about 3000 subscribers on my Youtube channel! Yeah! Youtube channel reaches 2000 subscribers! Woo hoo! My Youtube channel has reached 2000 subscribers! I've created the channel to have a different focus compared to my blog. It focuses on sketching and all things related. There are sketching tips, sketchbook features and art product reviews. Read more about Youtube channel reaches 2000 subscribers! I've installed the Disqus comment system on the blog. Hopefully, it's capable on deflecting spam. You should be able to comment on posts on the blog now. Try it, give me a shoutout below. It's quite stressful when my beloved website is down. I can breathe a bit more easy now. A huge thumbs up to the web hosting guys at Vodien for getting it back up again! !